Meditation for Protection & Positivity! What is Prosperity and How Do I Get Some? Teens: Precious souls, beautiful light and wisdom! Welcome to Light on Kundalini! 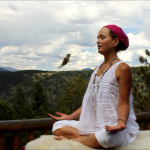 Why Do Kundalini Yoga, Anyway? Where There’s Kundalini, There’s Change.